I have a love/hate relationship with ceiling fans. 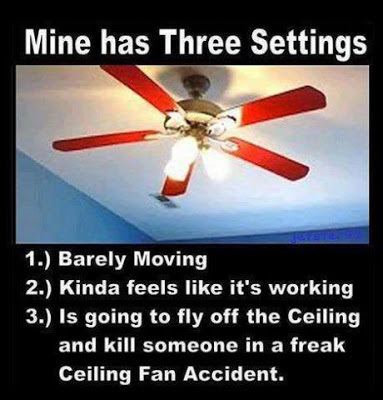 I'd rather have a constant temperature with the AC on, but I'm always either somewhere where there is no air conditioning (even at work, where there is, I'm often so hot I have to turn on my mini-fan at my desk) or it's simply too expensive to run. Thus, the ceiling fan to the rescue!